It's been such beautiful weather here this week, I've had a hard time staying inside! But I did enjoy sitting down at the old computer and looking through last week's party. Let's get to the good stuff, shall we? The Fan Favorite from last week's party was "Painting To Do and Not To Do" by It's Overflowing! 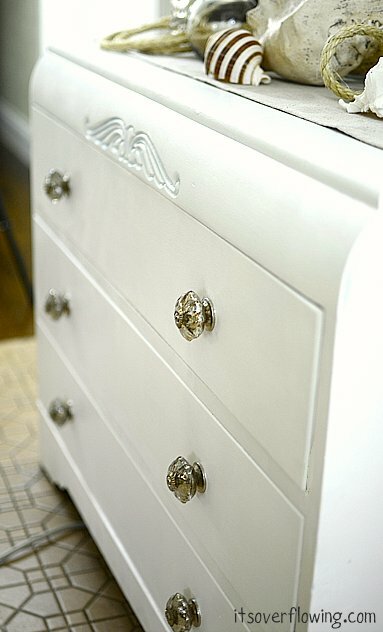 This is like two great posts in one...great painting tips and a pretty furniture redo!! 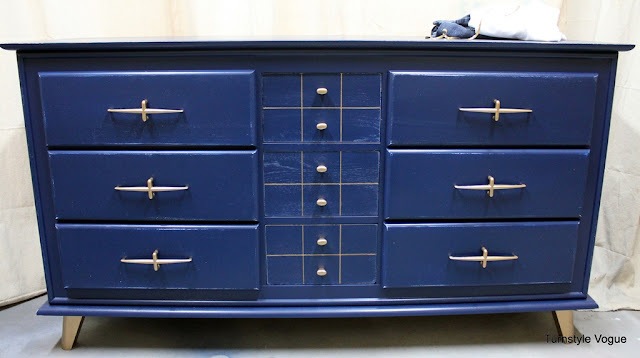 First up, another pretty furniture redo by Turnstyle Vogue. I have a real crush on navy blue paint right now...and I just love how it gave this piece such sass and style! Next, I'm in love with this nursery reveal by View Along the Way. Such sweet details. I just adore that pinwheel art installation. Do you think I could get away with something like that in my master bedroom? Lol! Finally, this basement renovation from No.29 Design is jaw dropping. Even without being decorated yet, it's drool worthy! I have to check out that sweet nursery. Thanks for hosting, Wendy. Have a great weekend! Thanks so much for featuring my Weekender dresser/buffet - and as always, thanks for hosting. And that basement? To die for. LOVE the nursery! The colors just pop off the white walls. Just beautiful! Thanks so much for hosting. I think it's my first time here. You made my night! Thanks for the fun feature Wendy and your sweet note about my little chest redo! And thanks LOTS for hosting each week! So many pretty furniture features. Happy Friday. I'm new to linking up. What do you mean by saying you will only feature projects that link back to The Shabby Nest? Do I put a link to this link party on my blog posts? Or do you want a button on my blog somewhere? Thank you for hosting this great party, and have a great weekend! Great features. I can't wait to check out that basement redo. Hello and good morning! I linked up healthy, last minute snack that you can whip in minutes-"Hummus Among Us" recipe (#292). It's yummy and it's good for you. Win-win. Thanks for hosting the party once again. Have a great week! I would kill for those beautiful white basement built-ins! Thanks for hosting and have a wonderful weekend! Something is up - whenever I click on the link for the basement in your favorites round up, it makes my avast anti virus software go nutso, saying it detected a malicious page. I'm not sure if it is the no. 29 design or something different. Thank you so much for featuring my basement! It made my day!!! Hi Wendy, thanks so much for hosting again this week.